Web Series Today: Sure, TV’s moving online these days . . . but we’re moving back! Sure, TV’s moving online these days . . . but we’re moving back! Local Cox television channels across Virginia are now airing original comedy and music from Los Angeles-based, independent film company Wyndotte Street Productions. The unique trade-for-space agreement provides content for Cox’s growing Creative Services department while promoting Wyndotte Street’s web site (yndotStreet.com) and videos streaming on Amazon (search: Wyndotte Street). This also makes the same original video content available to all of the company’s local markets, nationwide. More on that soon. Fridays at 8pm, with replays throughout the week. Wyndotte Street creates and monetizes original scripted and live video content. Each individual clip is an advertisement for the rest of Wyndotte Street’s library. The half-hour episodes of “Welcome To Wyndotte Street” bounce between Wyndotte Street series, sketch, political satire and music clips. The style is farce. The general theme is ridiculous stuff happening in an ordinary environment. Like a post-modern comic strip. The characters tend to be extremely enthusiastic, likable and dumb. The show also includes live music and behind-the-scenes footage of upcoming projects. Thank you, Virginia. This is going to be fun! 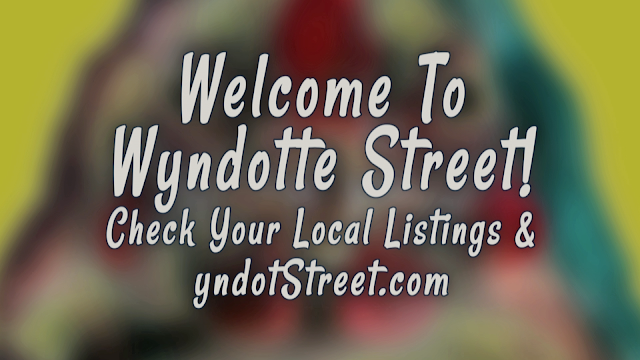 Wyndotte Street offers a variety of funny clips you are welcome to include on your site for free. Contact us for an online catalogue at [email protected].